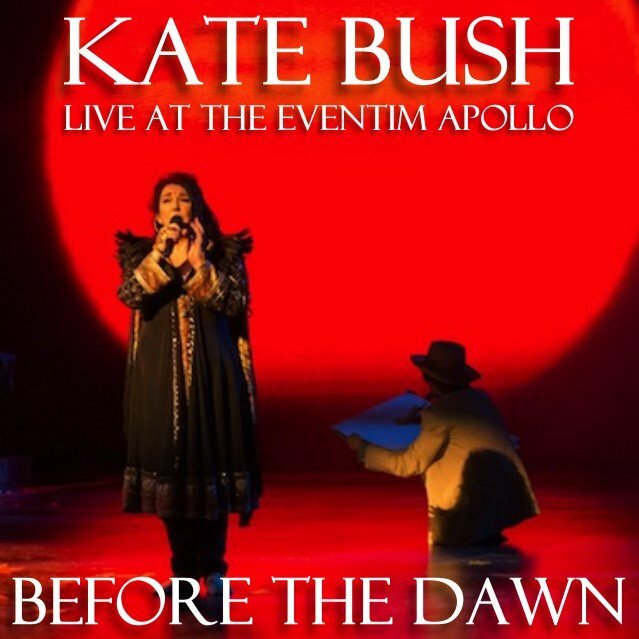 Kate Bush live… it’s been 35 years. 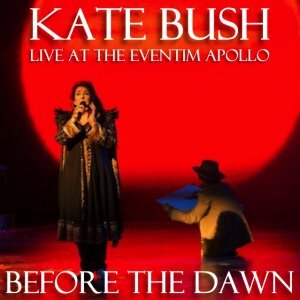 Altogether, Kate Bush will be performing 22 shows at the Eventim Apollo, Hammersmith from August 26 to October 1. “Where’ve you been?” Kate Bush asks nonchalantly, beaming widely as the second standing ovation of the night greets the close of her first song, ‘Lily’. Thirty-five long years in the waiting and, at first, incredible as it was to even believe it was happening, it seemed as if Kate Bush’s legendary reluctance to tour had made for a somewhat more restrained show than the all-singing, all-dancing, all-acting extravaganza that was 1979’s The Tour of Life. Bush found that experience so exhausting that she more than once had to be carried offstage. Kate Bush, you notice, is barefoot. It is rather wonderful that she has taken her shoes off and thrown them in the lake for us, as per the lyrics of The Hounds of Love. Bush performs the song flawlessly and with obvious pleasure, just a few minutes into the second night of her 22-date comeback run. At 56, she could easily have matured into some theatrical grand dame shod in high heels and accessorised with self-satisfaction. She could have returned to the cultural fray for an almighty ego-rub. As it is, there are signs of luvviness… but you are never in any doubt that she remains a questing artist, fabulously unconventional in her concerns. The PA plays soothing Eberhard Weber, an indication of Kate Bush’s current musical inclinations, but there’s no way it can soothe the hubbub of anticipation amongst the audience, many of whom have been waiting 35 years for this. Then the disembodied voice of “Lily” heralds Kate’s long overdue arrival again onstage, strolling at the head of a small group of backing singers that includes her son Bertie. Barefoot and black-clad in three-quarter length coat and long fringed fabrics, she’s like a gorgeous Gothic temptress, the former mime and dance moves reduced to a stroll and waft of material, with an occasional twirl. Kate Bush has made her stage comeback to an ecstatic response from fans at her first live concert for 35 years. Bush received a standing ovation as she closed the show with Cloudbusting, from her 1985 hit album The Hounds of Love. The 56-year-old British star was appearing at London’s Hammersmith Apollo - the scene of her last live show in 1979. 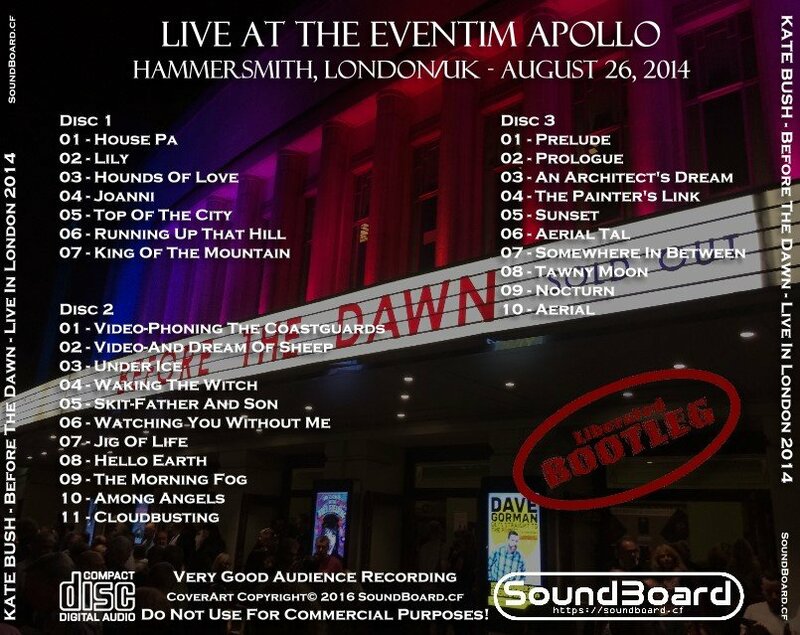 Tuesday’s three-hour set kicked off a run of 22 shows, titled Before the Dawn, which sold out in minutes. Afterwards, she thanked fans for their “warm and positive response”… There was a huge roar from the crowd as Bush appeared on stage - barefoot and dressed in black - leading her five backing singers. The chorus included Kate’s son Albert McIntosh (Bertie), who also sang lead and acted in several passages. Also in the chorus were Jo Servi, Bob Harms, Sandra Marvin, and Jacqui DuBois. And, there were a series of actors and stage hands that were part of the presentation – all adding to the fabulous, unforgettable evening. Before the Dawn 0 out of 5 based on 0 ratings. 0 user reviews.